Israeli forces have once again seized a boat and crew with civilian aid for the people of Gaza. Among those they have taken is Dror Feiler, chair of European Jews for Just Peace (EJJP). 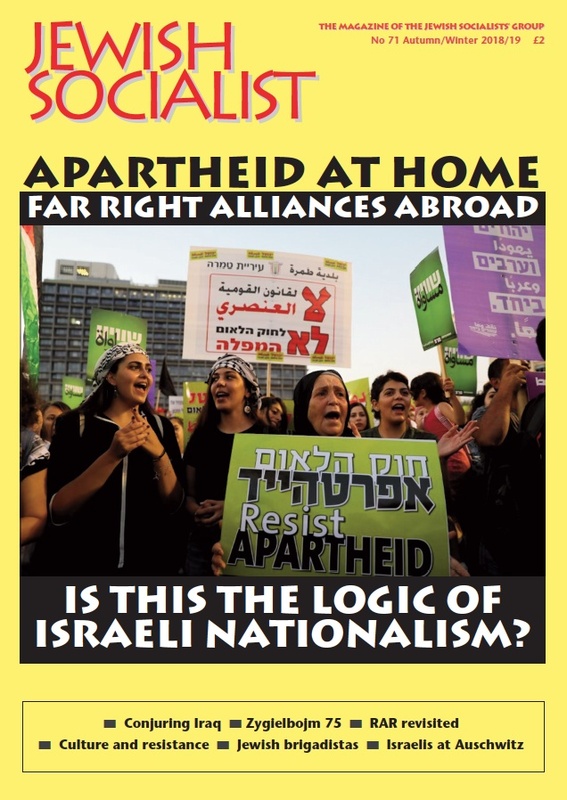 The Jewish Socialists' Group in Britain is affiliated to EJJP, and has endorsed this statement. On June 29th, the Israeli navy assaulted the Swedish boat “Marianne” in international waters, seizing it’s crew of human-rights activists and its cargo of humanitarian supplies in what can only be called an act of piracy. The passengers were dragged against their will into Israel, to the city of Ashdod. The Freedom Flotilla aims to break the siege on the Gaza Strip, which the Israeli government has turned into the world’s largest open-air prison. Though the boats and the activists are unarmed, they seek to break the siege in a symbolic action of sailing through to Gaza, in order to call attention to the incarceration of almost 1.8 million people, who are denied their basic rights to travel and to trade, being cut-off from the world by the Israeli military. The chairman of European Jews for Just Peace, Dror Feiler, is among the illegally incarcerated passengers of the boat “Marianne.” We learned from him that just a few days prior to the Israeli assault, one of the boats in the flotilla was sabotaged within the coastal waters of Greece, leading to the suspicion that the Israeli armed forces have violated Greek sovereignty in order to sabotage the Freedom Flotilla. European Jews for Just Peace is a coalition of European Jewish organizations, committed to peace and to justice. We demand of our European governments to act to release the captive passengers, among them European Parliament member Ana Miranda. We strongly condemn the inhuman siege on the Gaza Strip.